iCloud photo library gives you the ability to store your photos and videos in iCloud and keep them sync across all your devices. Its a nice feature if you sync’s your album on your iPhone, that will automatically available on your iPad too. iCloud Photo library is still in beta version and you might be experience some bugs, so we highly recommend you to backing up your photos before hand just in case. 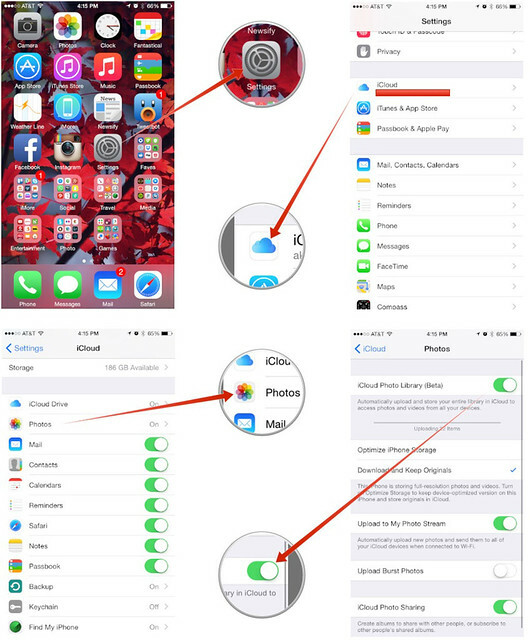 So How to Enable iCloud Photo Library on your iPhone? Its really easy…. 1. Go to Settings app on your iPhone running iOS 8.1 or higher. 4. On the option for iCloud Photo Library at the top.